The 7th of December is a time of change, when stressful turns and sharp moves are about to be made. This is a date of haste, quick thoughts and brainstorming, and a moment when friendships matter most, especially those that have lasted for years. 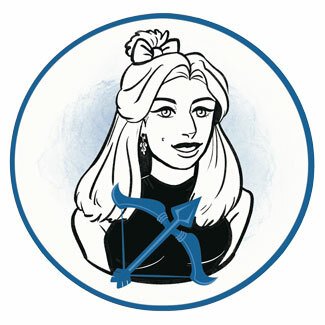 People born on this date relate on less personal levels that the rest of Sagittarius representatives, gathering information and seeking the right tribe to belong to, where they can let go to freedom of deep interaction. 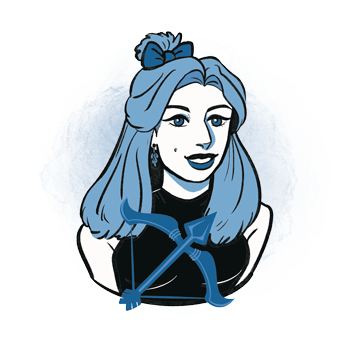 Free-spirited and a bit hasty, those born on December 7th carry opposites within, and have incredible ideas on how to connect what seems impossible to merge in the world around them. They are innovative, ready to act on impulse, and a bit stressed by all the things they wish to do, experiment with, and try in their lifetime. Overthinking will distance them from the material world and take away some of their naturally coming opportunities, and they are to walk and exercise enough to calm their mind, so their vision can be creatively manifested as it should be. Depending on the tension between their parents while they were at a young age, they build certain mechanisms and patterns that might pull them apart from their partner or close people instead of seeking solutions for loving togetherness. A much deeper change on the level of personality is needed for these people to find their true center and their calling in life. Their creativity is often manipulated or torn in some way, and they are to move through their inner world of shadows to come out into the light. Large and deeply disturbing changes and loss in the outer world will shape the inner one, and remind them of who they are and what they truly want to achieve. "The Ground Hog Looking for Its Shadow on Ground Hog Day"
We can see the connection to the animal instincts in these lines, standing as the guiding light to their behavior and choices in life. They have a way of knowing in advance, and on their hunch, how things might turn out, where their answers will be found, and aren’t afraid to depend on others to get what they need. However, they are to learn that only those filled with true respect and light can give them the contact they seek, or they might get lost in dark contacts that drain their energy away instead of feeding them. When emotions guide them towards joyous relationships that are free and allowing them to be exactly who they are, they will get fed, feed someone in return, and gather energy to reach their goals. In search for their true Self, those born on December 7th are on the quest of personal freedom and seek the point where they allow themselves to be exactly who they are. Fighting for their authenticity, modesty shouldn’t stand in their way and neither should ego. They need their center stable and in balance with the outer world and the amount of self-respect equal to the respect they give others. As they learn to see the light and abilities of others even when they are weak, they start recognizing their own weaknesses as strengths and talents to be used creatively. With such a warm and intense personality, December 7th born may be a bit off grid and strange when it comes to relationships with others. They turn to unconventional ways of dating and relating, holding on to personal freedom at all times but stressing out about the freedom their partner needs. Able to find middle ground in deeply rooted conflicts, they need to learn not to tear apart from their loved one and separate at first sign of big trouble, so they can heal what is broken and see their relationships through. They need a good friend by their side, someone wearing a smile on their face and ready to fight for their shared achievements. If they end up with a partner who is slow and insecure in their intentions, they get stressed and feel the need to break free. They are inspired by love and governed by loyalty to the cause, rather than any specific person. This may make them a bit inflexible and less tender than frail, deep contacts need them to be. Strong, individualistic people make their best partners and friends, those who can withstand the trial of their own inner conflicts, and stay stable and true to their own personal goals. A person born on December 7th excels in extreme sports, activities that require a lot of energy, and short-term, freelance projects that inspire them and give them enough freedom. They are consultants and astrologers, sometimes fond of programming and computer science, but only when there is enough movement in their lives. They can become pilots and aircraft engineers, as well as all those innovative spirits who bring new information to any kind of science. An inspiring stone for those born on December 7th is charoite. It is a highly protective crystal with a high vibration, helping these individuals see the lighted path of themselves and others, and showing them how to give a helping hand to those in need of assistance. It is a good stone for healers and people who are giving and warm but often don’t recognize their boundaries or take the time for regeneration and work on the Self. It should be used periodically, when contact with spirit needs support and when their body is prepared to see and recognize new information that is needed to evolve. Fireworks, sparkly details and electronic equipment are a good choice for birthdays of people born on December 7th. They want their curiosity sparked, someone to see their potential, give them the information and excitement they seek. Take them paragliding, name a star after them, or engage in humane activities in their name. Do a deed that is unordinary, surprise them and give them something metallic or shiny to assemble. Free-spirited, open for innovation and brainstorming, they are a good friend to have around, able to organize big groups of people for all sorts of shared activities. Tribe leaders and those who know how to connect the dots, their mind gives guidance to people they love. Reactive and fiery in their feedback, they can be troubling to talk to and work with, intense, rebellious without tact or support for interpersonal contacts. Overthinking takes them to philosophies that don’t represent the full potential of their heart. In 1932 Ellen Burstyn was born, an Academy Award winning American actress who starred in The Last Picture Show, The Exorcist and Alice Doesn’t Live Here Anymore. She majored in fashion illustration in a university-preparatory school but failed her classes and dropped out of high school during her senior year. In 1949 Tom Waits was born, an American singer, guitarist, songwriter and actor, known by his distinctive gravelly singing voice. He also dropped out of high school and later described himself as a "rebel against the rebels". In 1979 Sara Bareilles was born, an American singer, pianist, songwriter and actress, who rose to fame with her hit single "Love Song" and wrote a memoir that became a bestseller. She taught herself to play the piano and all other instruments she has been seen playing. 1732 – Opening of the Royal Opera House at Covent Garden in London. 1787 – U. S. Constitution is ratified by Delaware, the first state to do so. 1869 – The first confirmed bank robbery of the American outlaw Jesse James (born on September 5th). 1930 – A telecast in Boston shows the first television commercial in the U. S.
1972 – The crew of the last Apollo mission takes the photograph known today as The Blue Marble. 1995 – More than 6 years after the launch, the Galileo spacecraft arrives at Jupiter.